An “inspirational” Birmingham nurse has been shortlisted for a prestigious healthcare award. 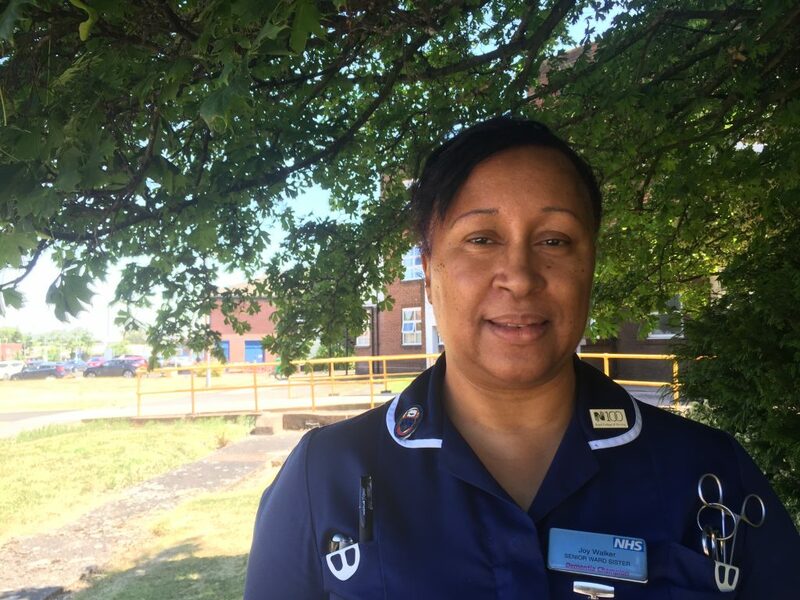 Senior Ward Sister Joy Walker, from City Hospital, is the only finalist from the West Midlands to be competing for the Nurse Leader of the Year title, in the coveted Nursing Times Awards. She was selected from hundreds of nominations and is one of 10 finalists. Joy, who manages the D26 ward at the hospital, said: “I just couldn’t believe my ears when I was told about the news. “To be shortlisted for this prestigious award is like a dream to me. This is definitely one of the best highlights in my career, which I will treasure for the rest of my life. Organisers of the awards have named this year as one of the most competitive after receiving an influx of nominations. Judges were impressed with how Joy led her team to become a high achieving ward, ensuring patients consistently receive the highest standard of care. She has been recently praised by the Trust for her excellent work in implementing the consistency of care plan which has led to the ward winning three awards for their outstanding performance. Joy has also ensured that the Safety Plan has been properly implemented, which ensures all patients receive the correct checks within a certain time from when they are admitted to the ward. The initiative has helped the Trust to be shortlisted for the Patient Safety Awards 2018. Winners will be announced at a glittering ceremony in London on 31 October.